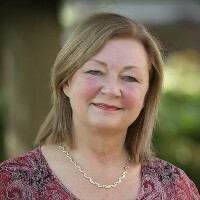 Cynthia is a Professor and Bayer Chair in Sustainable Pest Management (2014-2019) in the School of Environmental Sciences - University of Guelph and has been a faculty member there since 1986. She received her Master of Pest Management (1983) and Ph.D. (1986) from Simon Fraser University. Over the years she has supervised 47 graduate students and four PDFs, edited three books and five book chapters, and published 75 refereed scientific papers, 37 refereed proceedings papers, 80 technical reports and 30 extension publications. Her current research interests include sustainable management of insect crop pests using environmentally compatible control methods including conservation biological control, novel technologies such as RNAi and sterile insect technique (SIT); management of invasive alien insect species; impact of agro-ecosystems on beneficial insects such as honey bees, non-Apis bees (i.e., bumble bees and leafcutter bees) and natural enemies; and development of standardized pesticide risk assessment methods for non-Apis bees. She is presently involved with risk assessment method development for studying the impact of pesticides in agroecosystems on bumble bees and leafcutter bees in lab and semi-field situations; survey and development of IPM strategies for carrot weevil, pepper weevil, carrot rust fly, brown marmorated stink bug and spotted wing Drosphila – all economically important insect pests in Ontario; and in-package fumigation of fruits and vegetable to control insect pests post-harvest using innovative controlled release technologies. In addition, she is involved with a multi-year study at the Holland Marsh that is focused on finding ways to revitalize the canal berms to support natural enemies and pollinators. Born and raised in western Canada (Brandon, Manitoba), Cynthia became acquainted with apiculture and agriculture through family beekeeping and farming operations. She is keenly aware of the importance of IPM, entomology/apiculture, and agriculture to the Canadian economy and endeavors to relay this to others through her research, teaching and outreach activities.